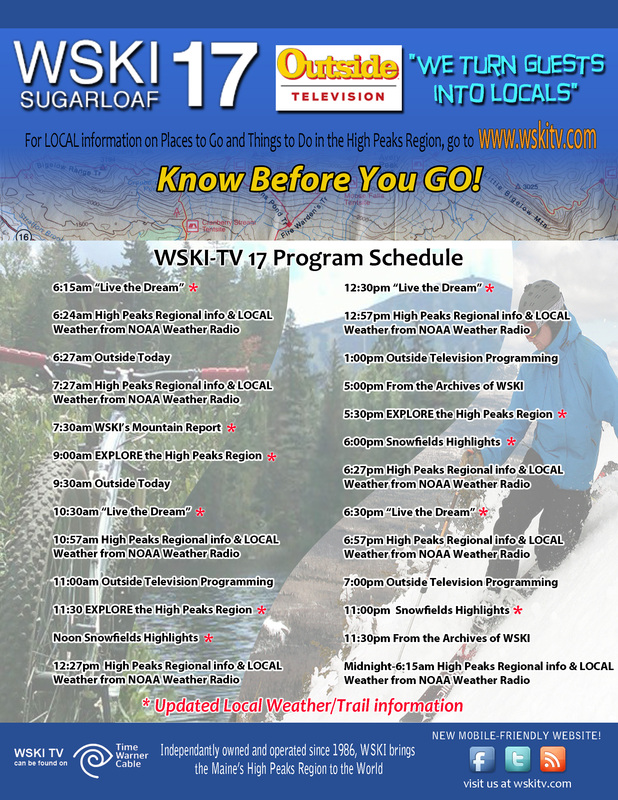 Sugarloaf Outdoor Center: Something for Everyone! Located just one mile south of the Sugarloaf Access Road, the Sugarloaf Outdoor Center offers, XC Skiing, Snowshoeing, Ice Skating, Fat Biking, a retail shop, a Bakery and Cafe and more. Manager Jamie Omo gives us the details and tells us all about it… check it out!